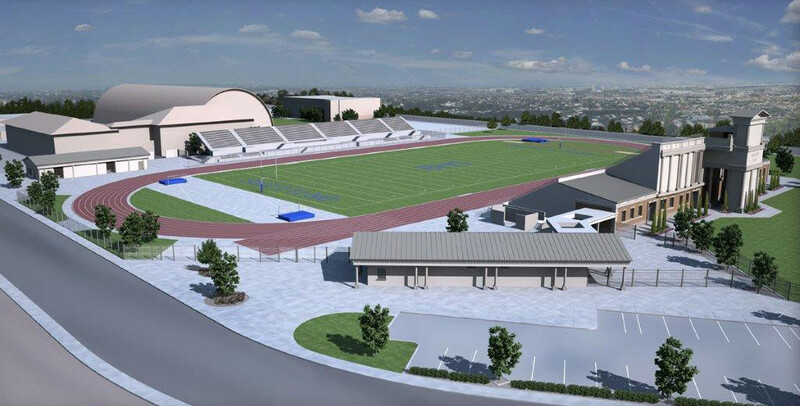 west glance to your right to check out the new digs, all worthy of Driller Pride for the new season. The vintage 1923 stadium upgrade includes moving the visitor stands behind the track; new concessions, ticket booths and restrooms for the home and visitor sides; the addition of two (2) “mini-Griffiths” that will attach to the current stadium that will expand seating and provide additional room for a new weight room and trainers facility; replacing the locker and shower areas with modern plumbing and facilities; replacing the watering and drainage systems in the stadium and Morrow Field to ensure fields get evenly watered and properly drained when rain occurs; redoing the field and the track; and enhancing curbs, gutters and parking. * ... GRADUATES: Congratulations to all those high school seniors out there, and especially the ones who have settled on a college to continue their journey. They're headed off to places like the University of Arizona, Baylor University, Cal Berkeley, Loyola Marymount and closer to home CSUB and Bakersfield College. This is also the time when parents are trudging off to colleges to move their children out of the dorms for the summer. Said one friend: "I got more than 15,000 steps on my Fitbit going up and down six flights of stairs. My knee hurts." * ... WELCOME HOME: Congratulations to a special couple - Bakersfield High School dean of instruction Tamara Clark and her city firefighter captain husband A.J. Clark - for bringing home their third son Ben from Children's Hospital Los Angeles. 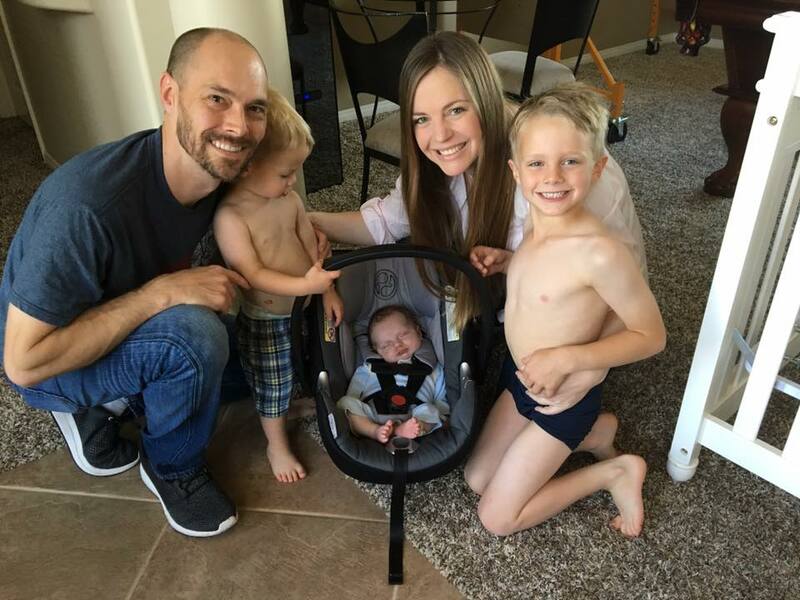 Ben was born with a congenital heart defect but underwent successful open heart surgery while just a few days old. They were grateful for not only the care at CHLA, but also at Memorial Hospital (where the defect was detected) and the Ronald McDonald House at CHLA. 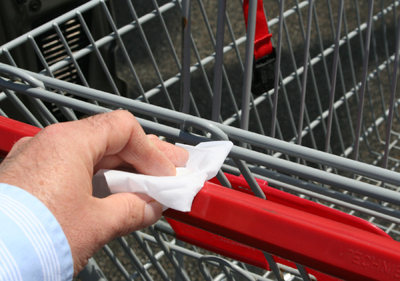 * ... HAND SANITIZERS: Next time you ignore the hand sanitizer at the grocery store, consider this as reported in The New York Times: "Grocery carts can be particularly risky points of transmission. Someone grabbing chicken or meat can leak the juices onto a cart and their hands and then continue to push the cart around, transmitting pathogens like Salmonella and E. coli onto the handle. The next person who handles the cart, or the next child who sits in the top of the wagon, can then pick up the bugs." * ... SPOTTED ON FACEBOOK: "Being cremated is my last hope for a smoking hot body." * ... SPOTTED ON TWITTER: "That awkward moment when you’re checking yourself out in the window of a car and then realize there’s someone inside." * ... GOOD FORM: Hats off to the two ladies who spent Mother's day morning walking the park at the Panorama bluffs picking up trash. By the way, I was the guy on the bike who waved hello. * ... DOG PLAQUE: And finally there was this from James M. Stuart: "I always thought the 'Lucky and Friends' was the best dog plaque at Riverwalk Park (mainly because it was the only one and Lucky is my dog), but now I have to say that there is one that is much better... located on a bench, it reads: 'Lucas: For my beloved friend and constant companion, my little dog. I will love you always- Anita.' I don't recall ever meeting Anita or Lucas but am appreciative of how much a pet can mean to someone."